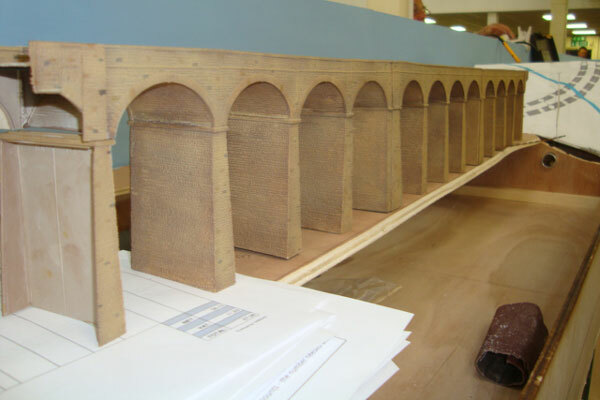 This is the latest layout being developed by the N gauge group. If N is your thing, why not visit the club, have a look and maybe join. 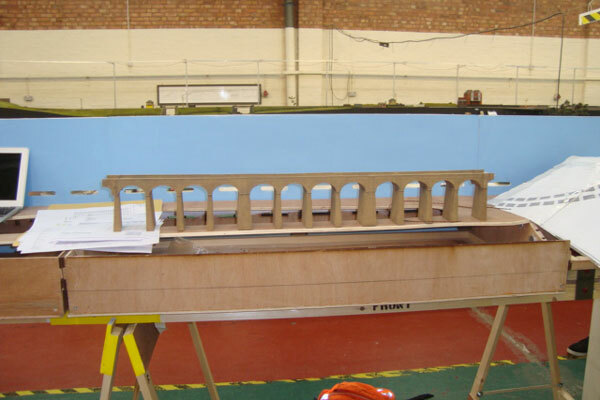 The base boards are now held together with screwbolts and threaded steel plates, for ease of build-up and breakdown of the layout at exhibitions. The boards are correctly lined up by aluminium dowels. Most of the fiddle yard track has been laid, and although very complex, the track at the front s steadily being completed. The overall electrical control of Hawes Junction is being carried out by the MERGS system. Model Electronic Railway Group. This involves building electronic modules from component parts on pin boards and then incorporating them into a purpose built control boards. The Fiddle yard area has been painted white, to keep a clean working area. This paint can be drawn on for the positioning of components and wiring looms. These marks can be over-painted with this quick drying paint. It also helps when running as any problems can be easily spotted in the fiddle yard on and between the tracks. Some buildings and structures are being built by the team members. 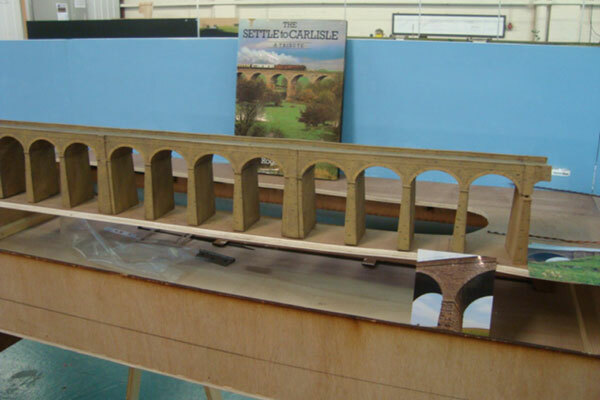 The latest structure is the Garsdale or Dandry Mire Viaduct, which has been built from Ratio Kits by Bill Greatbatch. Servo motors are being attached to holders and installed to points in the fiddle yard. Charlie Johnston Building MERGS modules and Control Boards. Keith Paxton Electrical wiring and systems. Ted & Sam Building and landscapes. Paul Beckett Special Wood Projects.